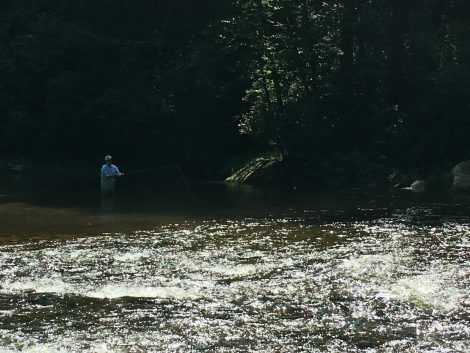 The Trout fishing in the mountains of NC has been fairly consistent, even with all the rain. 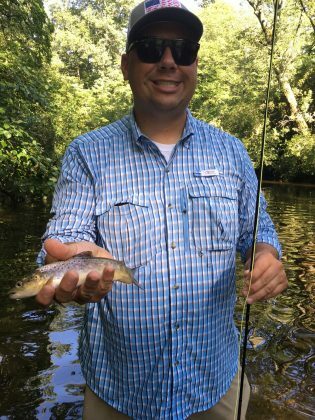 We have been Fly Fishing near Hendersonville and Asheville NC lately. Early morning is key with a lot of trout rising to small adams (#12), ants, and light cahills. 2 pound florocarbon is essential, especially if fishing the Davidson river. Wild trout have been really fun lately. If you are willing to hike in the Pisgah National forest a bit you will encounter tons of wild Rainbow and Brook trout. This is our specialty! Join us for a day on the river. Fishing trips start at 175 for a 1/2 day and 275 for a full.